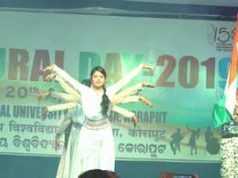 Koraput: The Matribhasha Divas (Mother Tongue Day) was celebrated at the Central University of Orissa, Koraput today at its permanent campus, Sunabeda. Prof. Sachidananda Mohanty, Hon’ble Vice-Chancellor, inaugurated the programme and delivered a special lecture on Role of Mother Tongue in Multilingual India. Prof. Mohanty said we need to love our mother tongue and respect all languages. Prof. Mohanty in his special lecture cited the importance of command over language in order to be successful. He advised the students and faculty members to be multilingual but to respect and learn more about their mother tongue. He said “Languages influence each other all the time. There is no pure or impure language; language had impacts of many dialects. We must have to rise above the narrowness over the language and need to love mother tongue but we need to respect all languages and be a multilingual.” “We can get rid of our narrowness over language with the help of knowledge and wisdom and we can acquire it at a University as University stands for the Universe” he added. He pointed out that we are celebrating the Mother tongue day in the University to celebrate all languages and respect all languages. Mother Tongue must go hand in hand in multilingual education. Prof. K.C Raut, Dean-Academics delivered the welcome address and congratulated Prof. Mohanty on behalf of the University community for being awarded with the PRABASI BHASHA SAMMAN for 2018 by THE INTELLECTS at India International Centre New Delhi in LangFest-2018: AMARI BHASHA PATHE-4, programme on 18.02.2018. 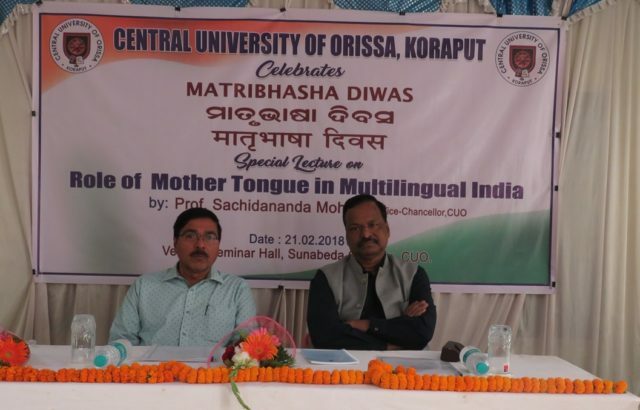 Head of the Departments (HoDs) I/c from the department of Odia, Hindi and Sanskrit, Dr. Alok Baral, Dr. Mayuri Mishra and Dr. Kumud Prasad Acharya respectively, spoke on this occasion on the Role of mother tongue in multilingual India. 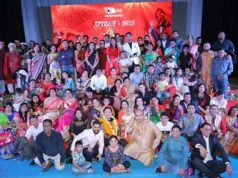 Sushree Mercy Mousmi Takri compared the programme. Dr. Phagunath Bhoi, Public Relations Officer delivered the vote of thanks. 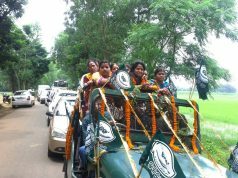 Students and faculty members of the University were present on this occasion. Programme was organized by the Public Relations Department of the University.